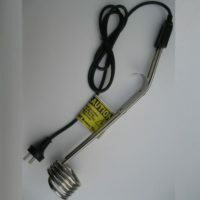 This element can be used as a portable water heater. Often used for temporary water heating in steel bucket or drum. It comes complete with cord and plug.